To help you get started, every Esri customer that had ArcGIS for Desktop received one ArcGIS Online subscription at no additional cost earlier this year. For each ArcGIS for Desktop license that’s current on maintenance, you are now entitled to one ArcGIS Online named user and 100 service credits each time you renew (see what a service credit is worth at esri.com/agolcredits). Collector for ArcGIS is a native, configurable app for iOS and Android devices. This app enables fast, straightforward field data collection on smartphones and tablets. Operations Dashboard brings together a common view of systems and resources you manage, and you can monitor real-time data feeds for large-scale events or day-to-day operations. 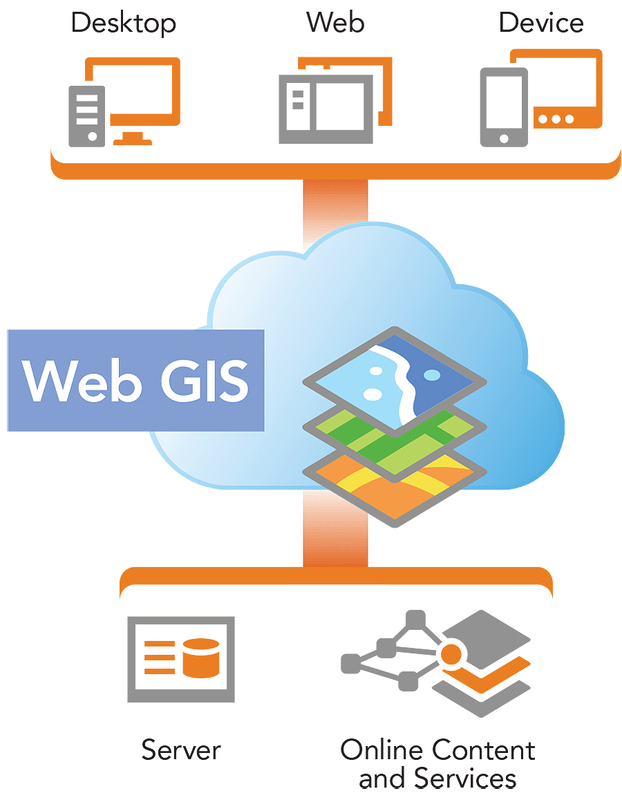 Web app templates in ArcGIS Online, such as story maps, allow you to quickly build useful and attractive maps and other information products that you can easily share and that are tailored to your organization’s needs without writing any code. When you need up-to-date information at your fingertips, sometimes you find that you don’t have what you need to answer basic questions. For example, drive-time analysis requires current street data and a network dataset. In the case of a natural disaster, you may need updated satellite imagery. When trying to decide where a new facility should be located, you need current demographic information. This kind of information is now provided through the ArcGIS platform.